Damien Sanchez juggles three businesses, a full-time job, and four young children. With the power of Infusionsoft, he can do it all—without hiring additional sales and marketing personnel. When Damien Sanchez isn't fighting fires, he's fighting mosquitos. A full time firefighter for nearly 20 years, he's also the owner of the largest Mosquito Squad franchise in the country—not to mention two lighting companies. And together with his wife Michelle, Damien is raising four children. Needless to say, he has the grit required to run a small business. What he didn't always have was the software to do it right. Despite being employed full-time, Damien originally founded DC Mosquito Squad in order to create additional revenue for his family and allow his wife the freedom to be home with their children. He harbored no illusions about the demands it would place on him: "A business is like another child. It takes a lot of nurturing, a lot of time, and a lot of commitment." At first, Mosquito Squad was using paper forms and filing cabinets to manage customer relationships. The company's standalone email program wasn't scalable to its needs or integrated with other points of customer contact. Leads were lost, follow-up was haphazard, and hours were wasted trying to reach and sell customers over the phone. 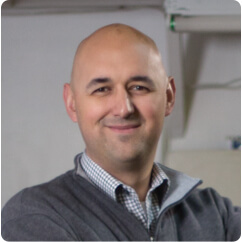 "When I saw Infusionsoft, I was only looking for an email program," Damien says. "But when I saw some of the CRM, capabilities, tasks and completion scenarios, and follow-up sequences, I realized I could utilize it to manage my employees and their workloads." 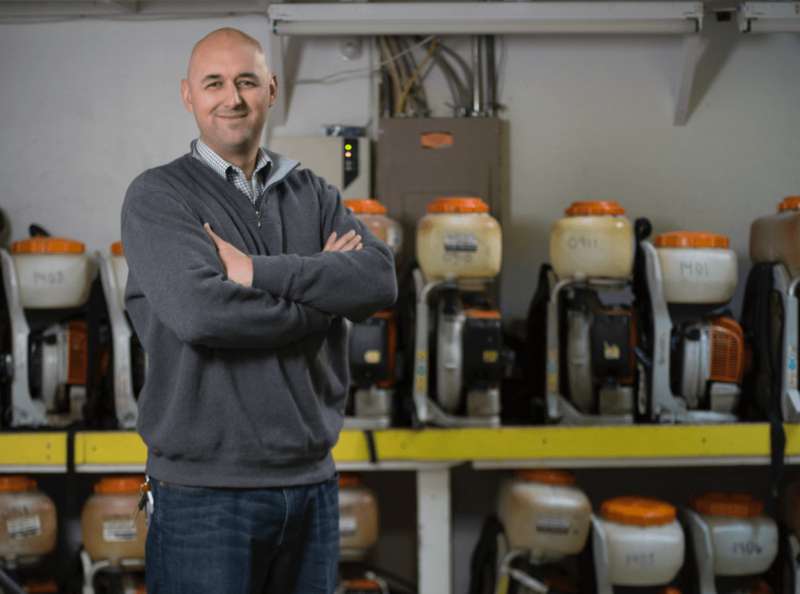 With opportunities being lost and his time at a premium, Damien needed to streamline sales and marketing at Mosquito Squad and his other companies with one system that could do it all. He found it with Infusionsoft. "When I saw Infusionsoft, I was only looking for an email program," Damien said. "But when I saw some of the CRM, capabilities, tasks and completion scenarios, and follow-up sequences, I realized I could utilize it to manage my employees and their workloads." After sending two employees for Infusionsoft Certified Consultant training, Damien and his team put the software to work. The results on business operations were dramatic. Back office efficiency improved tenfold, and Damien found that employees could be managed more effectively. Based on task completion with Infusionsoft, his staff can see if someone is behind and shift resources accordingly. It wasn't just Damien who benefitted from all-in-one sales and marketing automation. New hires could also get up to speed quickly, becoming proficient in one task and building on it. "Infusionsoft is now the backbone of our operations," says Damien. The company leverages Infusionsoft's powerful tools to track leads, renew customers, process orders, analyze performance, send emails, and even make office hiring decisions. Before using Infusionsoft, Mosquito Squad realized $1 million in gross sales. After just 7 months with the software, sales grew to $1.7 million. While increasing sales 70%, the company only had to add two more employees to its office staff over the previous year. During the same period, the customer base expanded from 2,200 to 3,500. How does a company nearly double sales without doubling its workload, too? "Rather than try to check in with everybody," says Damien, "I spend five minutes on my computer screen." Because he no longer needs to monitor the business all day, every day, Damien is able to focus more time on additional priorities—running two other businesses, performing his full-time job, and being a family man. "It's made my life much more flexible," Damien observes. "Without Infusionsoft, I could not perform four full-time positions. This is the life I want." Without Infusionsoft, I could not perform four full-time positions. This is the life I want.